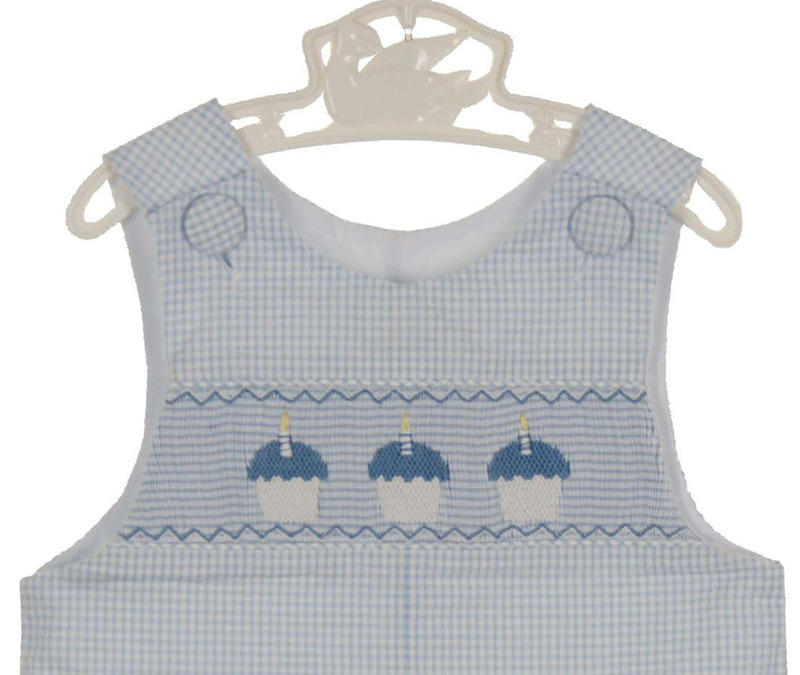 This darling blue checked cotton shortall is made by Precious Kids, a leading manufacturer of classic smocked children's clothing. 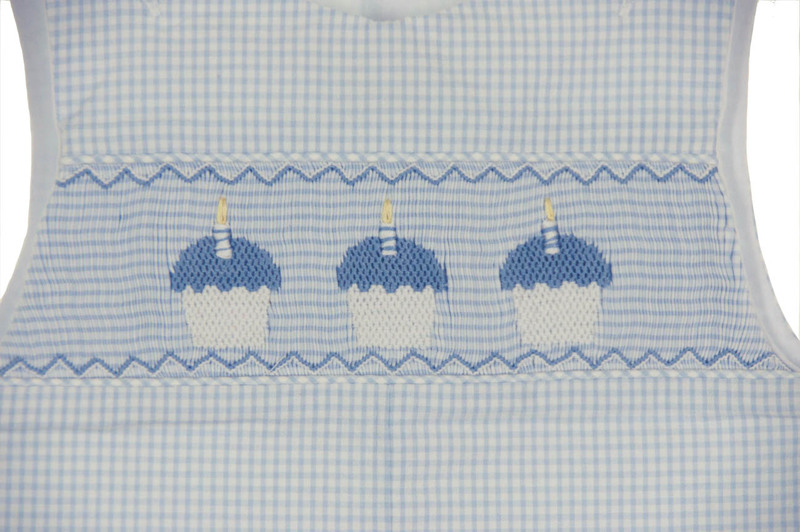 Perfect for baby's birthday, the smocked chest is embroidered with three blue cupcakes. Wear alone in the warm summer months or add a shirt (not included) for cooler weather. 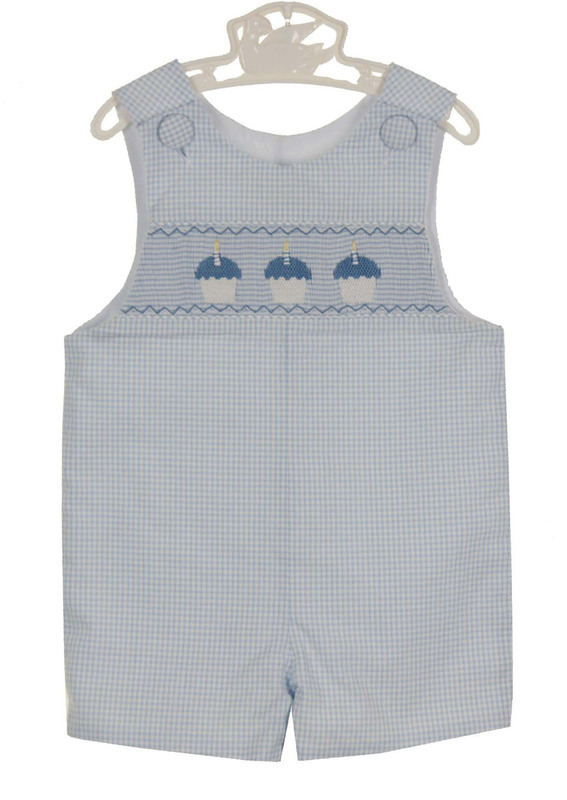 The shortall buttons on the shoulders and snaps in the crotch for quick changes. Matching romper and girls dress are also available. See below.